On a day the Indian Railways came under fire over serving a dead lizard in one of its meals, the ministry said that 5,403 food samples were checked in the last three years. In a written reply to the Lok Sabha, Minister of State for Railways, Rajen Gohain said that "regular inspections are done by food safety officials" to maintain the quality of food served on trains and railway stations. "Regular inspections are done by food safety officers and joint food safety commissioners. Food samples are collected and sent for analysis in accredited laboratories under the Food Safety and Standards Act by food safety officers. Surprise checks and special drives are also carried out by joint food safety commissioners," he said. The minister informed the House that from 2014-15 to 2016-2017, 4,828 food samples were checked, while 575 samples were scrutinised in the current financial year of 2017-18 (up to June 2017). In reply to a separate question, Gohain informed the House that the railways had received 27,782 complaints relating to catering services during the same period (2014-17), with 648 of them about lack of hygiene. The national transporter serves a record 11 lakh meals a day. The railways had received a slew of complaints last year regarding the quality of food served on trains, forcing the ministry to bring out a revised catering policy. 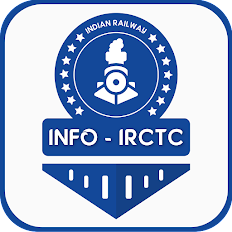 Railway Board Member (Traffic) Mohd Jamshed said that catering services in all trains with pantry cars will now be handed over to the Indian Railway Catering and Tourism Corporation (IRCTC) by the year-end to improve food quality.